Photographing butterflies is a challenging pursuit, as these flying jewels are often skittish and rarely allow more than a fleeting moment for the photographer to compose, focus and press the shutter. 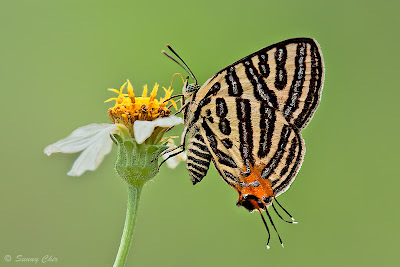 Spotting a butterfly perched on an isolated flower, proboscis extended and feeding, with a perfectly lit and smooth background is not easy to come by. However, when the opportunity presents itself, the result is often a moment of exhilaration for the photographer. 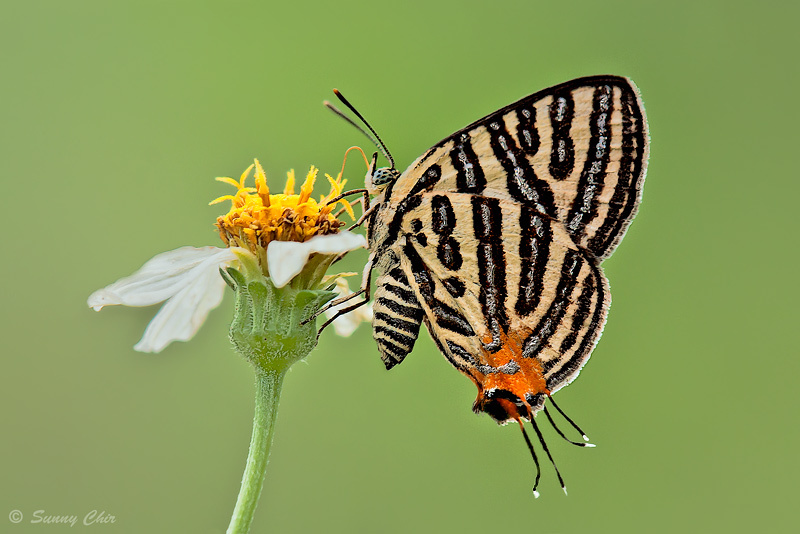 Here, ButterflyCircle member Sunny Chir takes advantage of a feeding Club Silverline as it feeds on a Bidens pilosa flower, yielding a perfect pose of this small but attractive butterfly.